Coursera, the global leader in online education and learning, today launched its first series of courses on Virtual Reality developed by the University of London. The Virtual Reality Specialisation, comprising five-course modules, has been developed by Dr Sylvia Pan and Dr Marco Gillies from Goldsmiths, University of London, based on a combined 25 years’ experience in some of the world’s most prominent Virtual Reality research labs. Their expertise in Virtual Reality centres on the generation of interactive and engaging virtual characters, one of the focus areas in the new Specialisation they teach on Coursera. 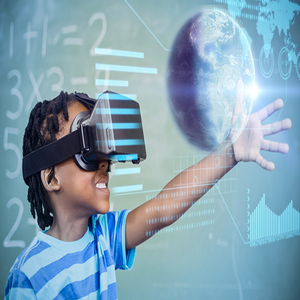 Learners in this Specialisation will get hands-on experience using many of the leading technology tools for Virtual Reality content development, and in particular the world leading game development project Unity. "The potential for Virtual Reality to change the way we work, learn, and play is significant, but we need more people educated in VR technologies and design to get there," said Jessica Lindl, Unity's Global Head of Education. "This series of courses from the University of London is a great example of a credential that can really help anyone interested in applying Virtual Reality in the work that they do."